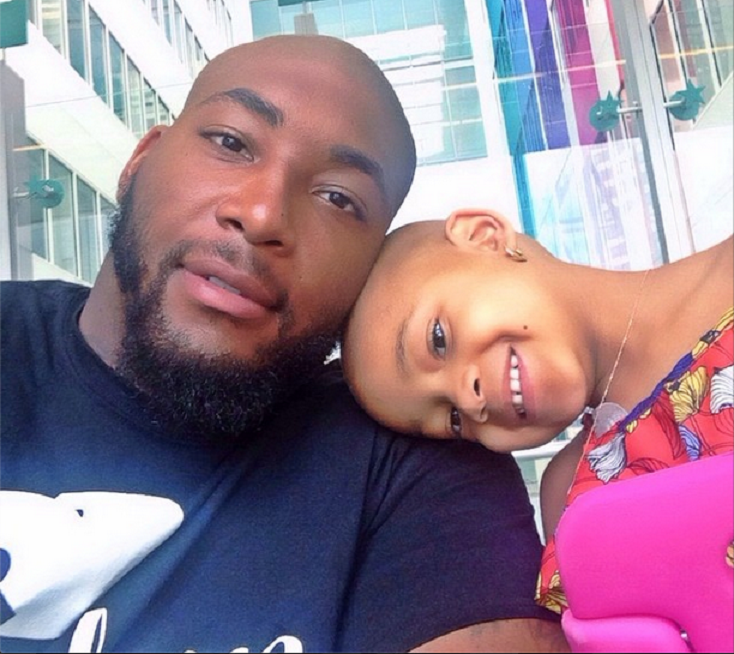 Devon Still and his daughter Leah fighting the good fight. At the very least it can for the Cincinnati Bengals’ Devon Still and his family. The third year defensive tackle had struggled all off-season, both on and off the field, dealing with injuries and recovery from a January back surgery. But most devastating of all was the news he received on June 2nd that his four year old daughter had Stage IVcancer. Leah Still was diagnosed with neuroblastoma, the most common cancer found outside the brain in young children. Leah was given a 50% chance of survival,a development that spiraled Devon and his family’s world out of control. Football instantly became a trivial part of Still’s life as his daughter would be fighting for her own. Still even shaved his head in support of his daughter, refusing to grow his hair until hers returns. Understandably, Still’s mind was not committed to football and he was consequently cut from the Bengals’ 53-man roster. However, in light of Still’s situation, the Bengals signed him to the team’s practice squad to keep him on salary so that he could pay for his daughter’s cancer treatments. Still and Channing Smythe, Leah’s mother, decided to bring their daughter to Cincinnati’s Children’s Hospital, where one of the nation’s top neuroblastoma surgeons works. He decided this would be a positive move for his daughter as he could reach out to the Bengals community for support. Still even started a campaign to fund research and help other families affected by the disease. While on the practice squad, Still’s story spread throughout the NFL community and beyond, filling the hearts of a nation of supporters. People began buying Still’s jersey in support of his situation. The Bengals organization agreed to use the revenue from the jersey sales to contribute to the Cincinnati Children’s Hospital and pediatric cancer research. Public response to this was so immense that over $400,000 in Still’s jersey sales were made in just four days after this announcement. In September, while this heartwarming story was developing, Leah underwent successful surgery to remove a cancerous tumor from her abdomen. Given a 50-50 chance of survival, this beautiful little girl is now in the midst of weeks of chemotherapy and radiation treatments that aim to destroy the cancerous cells in her body. Leah’s story will be told in a documentary, “One Last Game”, set to air on November 2nd. While most of the media’s attention is focused on the NFL’s negative situations – Ray Rice, Josh Gordon Adrian Peterson, etc…It is stories about the Devon Stills and Lauren Hills of the sports world that truly help us gain perspective on life and what truly matters. Their struggles remind us how fortunate many of us really are.